Members of the Hamilton Swiss Club started the ball rolling in 1964 with the Society Shooting Competition. Arthur Müller the Rifle Master in 1969 introduced the Society Games, as they are known today. The competition includes 50m Shooting, Kegeln, Steinstossen and Jassen. The top 20% of each category received a medal. If you were in the top 20% in one category you got a medal like the one in this photo. 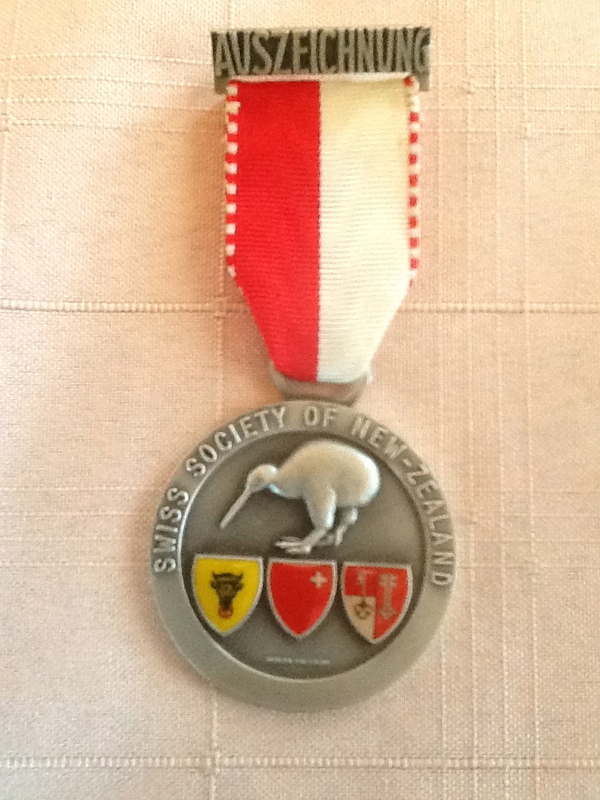 If you won medals in two categories the plate was gold, with three categories the medal had a gold frame around it and if you received a medal in all four categories the kiwi was in gold as well. In the first year in 1969 the medals had three cantons on it and every year thereafter featured another three cantons until all cantons were used. To this day, each club holds these annual Society Games and then enters the interclub competition, called the “Cowbell Competition”. This takes place with Taranaki v Wellington and Auckland v Hamilton. The winner of these 2 groups then fight it out in the final at the Society AGM held every year on Queens Birthday Weekend. 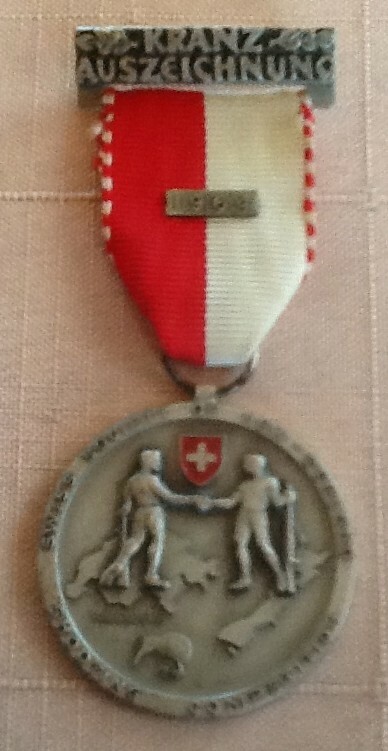 The top 20% of all participants per category still receive medals for this competition. We encourage you to take part in these games in your club and join us also at the yearly final. It’s a fun and competitive atmosphere and you get the chance to meet and beat members from the other clubs. Currently the Hamilton Club is the Title holder of the Cowbell competition. Congratulations to Hamilton Club for defending their title.